This is one of the many vendors set up along sixth avenue. 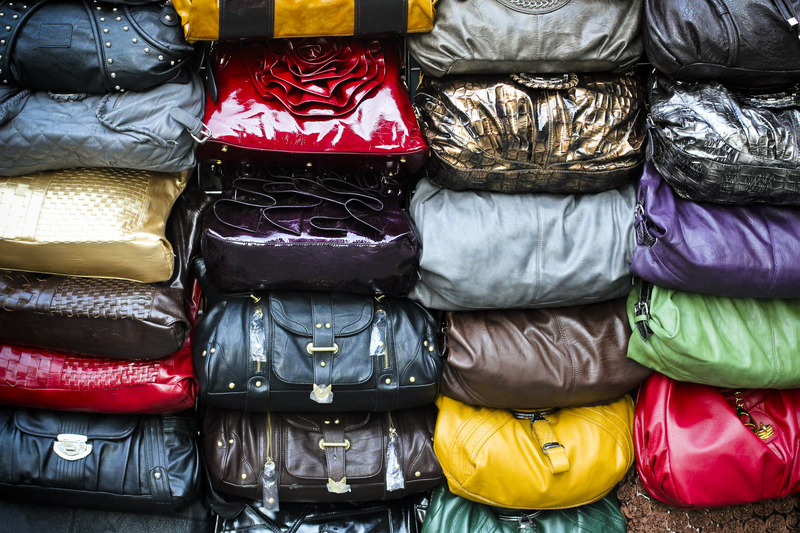 I was attracted to all the colors and textures of the bags – and how they’re all piled on top of each other. Anyway – I just arrived at the MGM Grand at Foxwoods after a lovely five-hour Greyhound bus ride. YUCK! Now I remember why I swore off Greyhound years ago. What a miserable experience! I’m happy to have arrived though and I’m looking forward to the weekend’s debauchery. I might just press my luck a wee bit on the blackjack tables later on tonight so wish me luck! Mamma needs a new camera lens! Now, I’m going to enjoy the ten minutes of quiet before the other girls arrive…. I currently have the hotel room to myself – a swanky (yet small) room on the twenty-seventh floor, overlooking a pretty sweet looking pool and an endless see of green. We are in the middle of the woods here in CT after all! Have a great Friday night everyone! wow i’d spend forever there!